Any other comments / anything we need to know? Is the O665 Luxury for you? The O665 Luxury hot tub comes with 1 lounger and 5 seats, perfect for a family. This spa is the mid-range of the O600 series, and perhaps the most balanced. The O665 Luxury's lounger seat offers a dual row of jets for your legs, providing an excellent massage of the lower body, and a venturi valve to control the power of the massage. This spa is equipped with 2 pumps of 4HP each, as well as an air pump of 1HP. Scientists have claimed that the amount of lighting affects the regulation of emotions, such as happiness and sadness, through the nervous and endocrine systems. 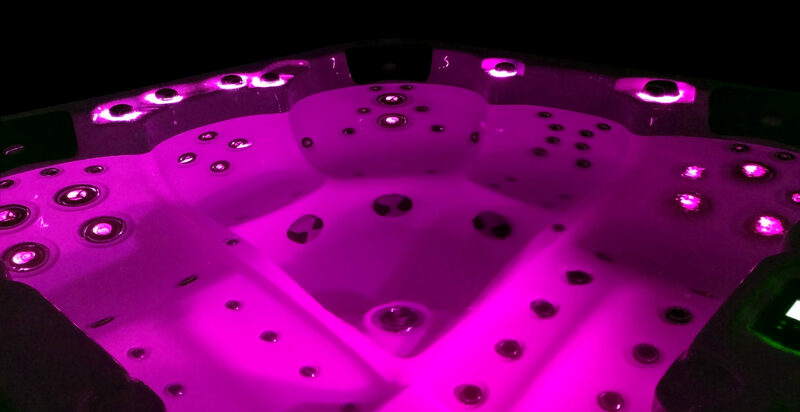 At Miami Spas we have used LED lighting in our hot tubs to enhance the users pleasure whilst using a Miami hot tub, by selecting lighting that only enhances the persons mood. 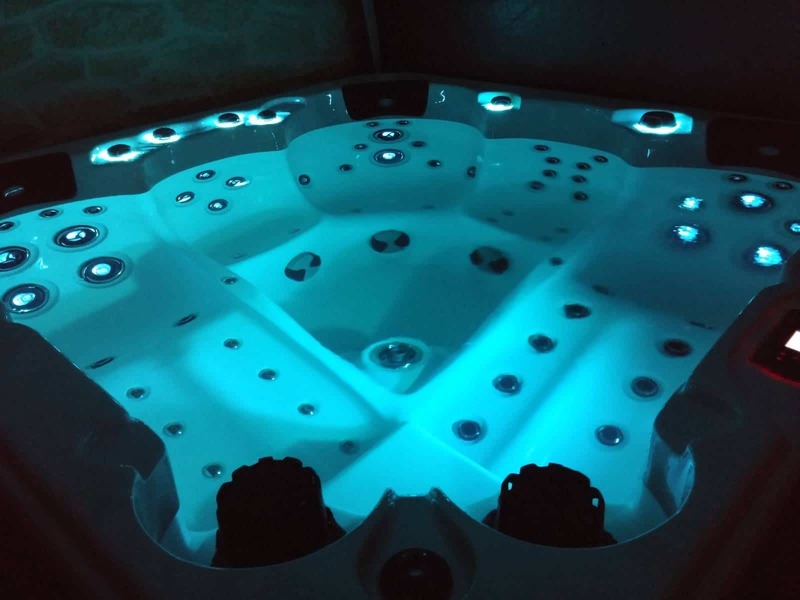 All Miami hot tubs come equipped with water level lighting, large LED in the footwell, corner skirt lights and diverter lights. This gives the hot tub a very modern look but also improves the mental mood of the user. As an optional extra, the O665 Luxury can be fitted with a fully integrated audio system and BeWell Touch control panel. Its interface features full control of audio sources, volume and settings, and display of song tag information from Apple music, Spotify etc. 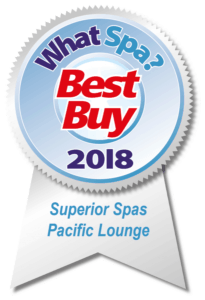 Designed to deliver clean, crisp, rich sound in the highest quality performance expected by music lovers, spas with the BeWell Touch control will be supplied with waterproof speakers and a subwoofer for great quality sound. The BeWell wifi option allows immediate access to your spa from anywhere in the world. It transforms your iOS or Android smartphone or tablet into your ultimate wireless remote control, enabling you to control all aspects of your spa, from your fingertips. 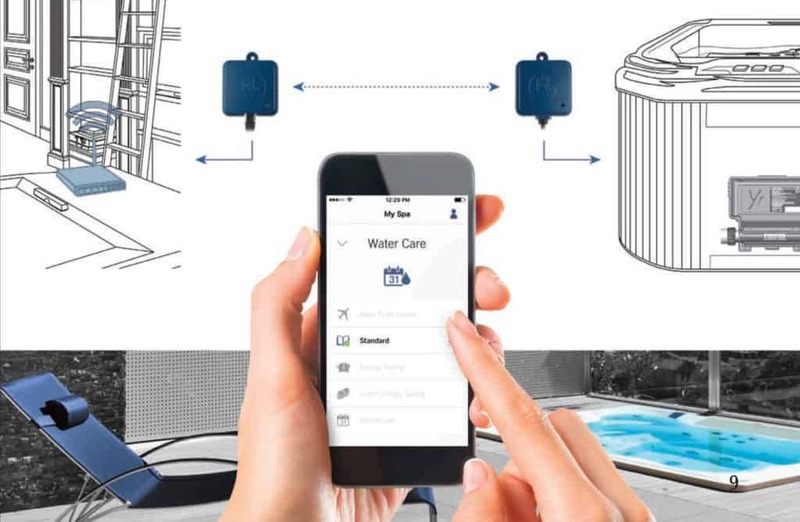 The application makes it very easy to control and program functions and features of your spa from your smartphone or your tablet, even when you’re away from home. Push notifications will always keep you informed on the status of your spa, even when your app is not open. Water so clear you’ll want to touch it, you’ll need to feel it! 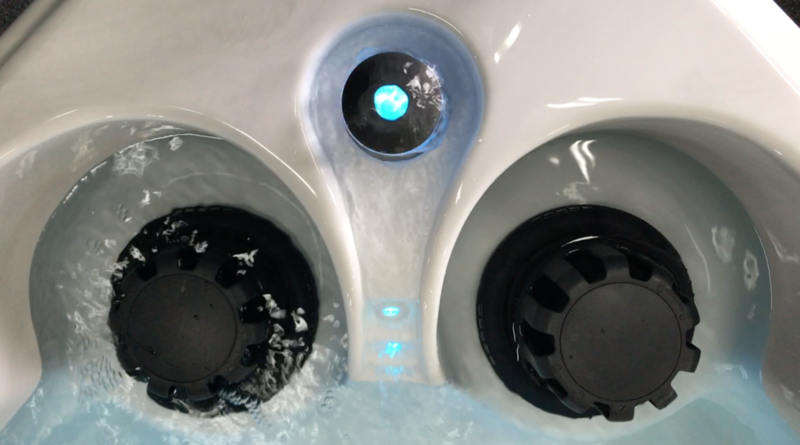 Our automatic water treatment system generates and releases bromine into the water to eliminate microbiological contaminants such as waterborne bacteria, algae, and organic matter given off by spa bathers for a relaxing and enjoyable bathing experience every time the spa is used. 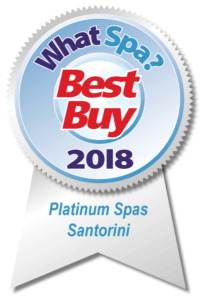 You’ll get clear, clean and soft water every time you use your spa and you will never need to add any other harsh chemicals to the water of your spa. Even if your schedule keeps you away for weeks, you are sure to enjoy a clear, clean and soft spa water experience when you return. A unique user interface and an engaging new way to control your spa equipment and accessories. No buttons, keys and overlays! Mode and function selection wheels, all-on or all-off one touch activation key of last used settings, interactive display icons and on-screen messages are all elements of the BeWell Touch user interface designed to let spa users interact intuitively with their spa and its value-added accessories. The BeWell Colour is built with all the great features you would need but in a smaller package. It is discreet, compact, and unobtrusively beautiful. Save space without losing out on functions. With bright, full colour display, we have created the seamless graphic interface spa users have been waiting for! Our volcano jets offer a powerful massage for your feet, relieving all the stress of being on your feet all day, while our back, hip and waist jets are perfectly positioned to help break down any fatty tissue to help tone your body. The hydro massaging feature can also assist in rehabilitation following injury. For a full body massage, sit back and relax in our ergonomically designed lounger seat, with perfectly positioned jets to reach your back, hips and legs. Every BeWell spa is made from the finest 4" x 2" Canadian Pine, which is treated to class 4, meaning it is protected against weathering and will not degrade. The advantage of using wood is that it absorbs vibrations made by the powerful jets. We use only the best insulation across all our range, with 4cm thick, high density polyurethane which is backed with heat reflective surfaces. This both reflects the heat back into the spas cabinet but also reflects the external air away. The acrylic shells, meanwhile, are thermoformed and laminated in our Canadian factory. Our experience and expertise allows us to produce an excellent finish and be fully weather resistant. 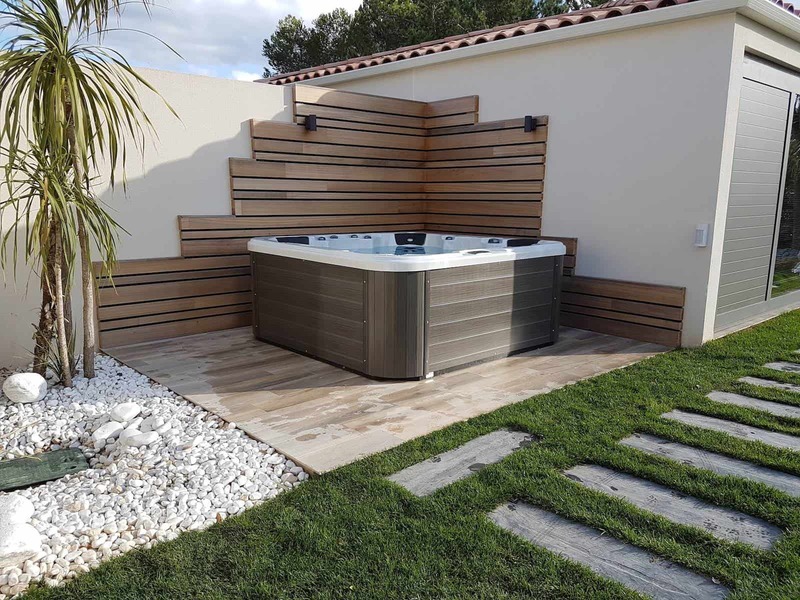 The side panels and steps that are used on Miami spas are maintenance free whilst looking just like wood. We use a wood composite instead of real wood on all our steps and side skirts. Wood rots and can deform over time! These particular side panels and steps do not rot or fade increasing the life and keeping that brand-new look for many years! 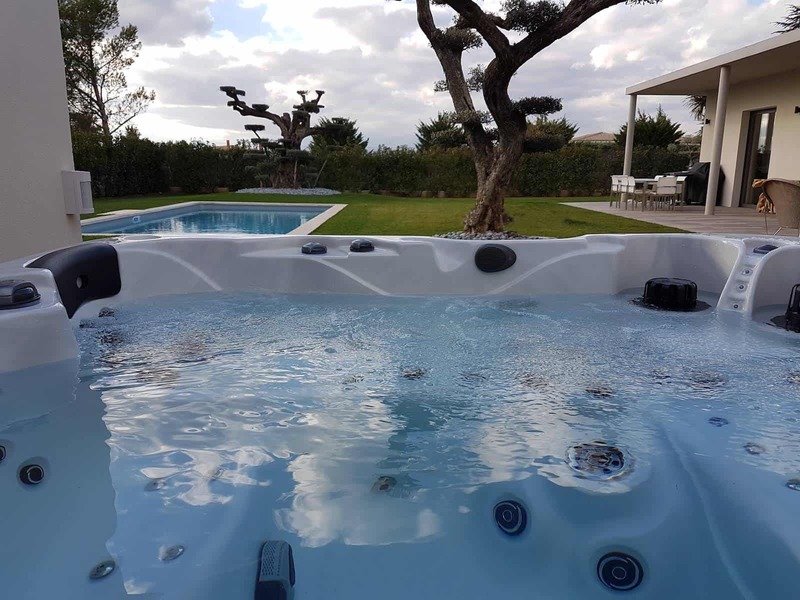 If damages do occur to the side panel of the hot tub it is very easy and a much cheaper option than wood for a replacement panel, which can take 10 minutes to change! 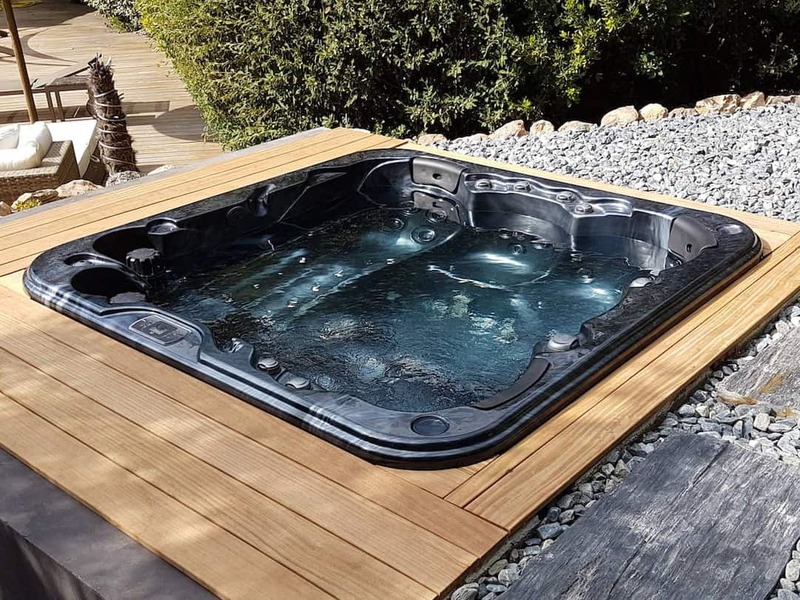 All of our hot tubs are built to not only perform and last, but to look stunning. Guaranteed to give you that wow factor. Our logistics team can get your hot tub delivered whilst working around your schedule and day. 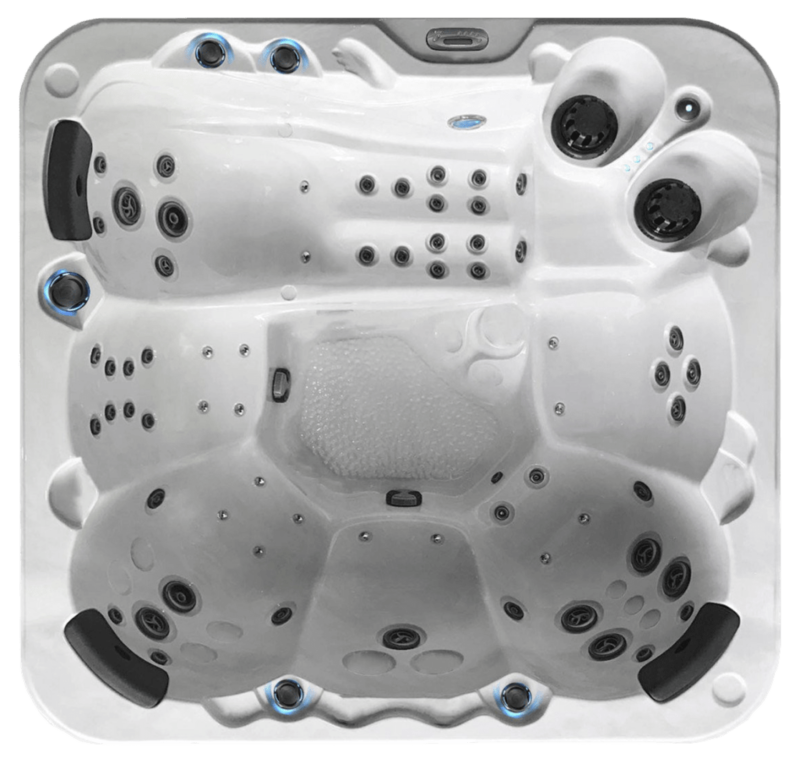 All of our spas have excellent and quality components. You can expect superior performance. 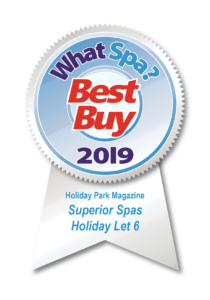 All our hot tubs are affordable - we offer excellent finance solutions and can work to your budget.